Oculus Rift is a new virtual reality (VR) headset designed specifically for video games. It features incredibly wide field of view, high resolution display and ultra-low latency head tracking. 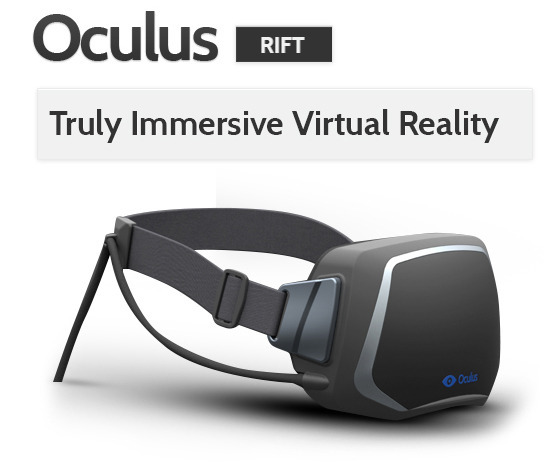 Oculus Rift is currently on Kickstarter and over $700k has been raised in one day. It aims to take 3D gaming to the next level. Most other VR headsets either lack the technical features required for believable immersion or sit at a very high price-point ($20,000+) reserved for the military or scientific community. John Carmack (id Software), Cliff Bleszinski (Design Director Epic Games), David Helgason (CEO Unity), Michael Abrash (Valve) and Gabe Newell (President and Owner Valve) have praised the headset saying that it offers best VR experience in 3D gaming. Oculus Rift team is working to add out-of-the-box integration with Unity 3D engine that supports Linux. Plus there is a Linux compatible SDK that developers can use to integrate the Rift with their new and existing games. The SDK will include clean well-documented code, samples, and tutorials to make integration with any 3D game or application as easy as possible. Head over to Kickstarter for more info. For a pledge of $275, you can grab a Rift and Doom 3 BFG edition.